When the Bing Crosby Pro-Am moved from Rancho Sante Fe Golf Club in San Diego County to the Monterey Peninsula in 1947, it became the first PGA TOUR event played on multiple courses. Crosby, a Cypress Point Club member, insisted that the golf was too great in Pebble Beach to be limited to just one course. So the first round would be played at Cypress Point Club, the second round on the Dunes Course at Monterey Peninsula Country Club, and the final round at Pebble Beach Golf Links. The event eventually became a 72-hole format with a cut after three rounds. It has been hosted at every course in Pebble Beach except for The Links at Spanish Bay. Since 2010, the rotation includes a round each at Pebble Beach Golf Links, Spyglass Hill Golf Course and the Shore Course at MPCC, with the final round after a 54-hole cut returning to Pebble Beach. The unique setup of what is now called the AT&T Pebble Beach Pro-Am favors familiarity. Mark O’Meara won a tournament-record five times, while Phil Mickelson has captured four titles (and finished one stroke shy of tying O’Meara’s mark last year). Jack Nicklaus and Johnny Miller each won three AT&Ts, while Davis Love III, Dustin Johnson and Brandt Snedeker have all won twice since 2000. The tournament’s host since 1947, only one PGA TOUR event has been staged at the same venue longer – The Masters (1934) at Augusta National. The major championship pedigree of Pebble Beach dates back even further to the 1929 U.S. Amateur. Pebble Beach will host its sixth U.S. Open in 2019 (plus a seventh in 2027), its fifth U.S. Amateur in August, and has also staged two U.S. Women’s Amateurs and the 1977 PGA Championship. Pebble Beach even hosted the 2nd Annual Nabisco Golf Championships in 1988 – an event that became the TOUR Championship in 1991. The U.S. Women’s Open also visits Pebble Beach for the first time in 2023. 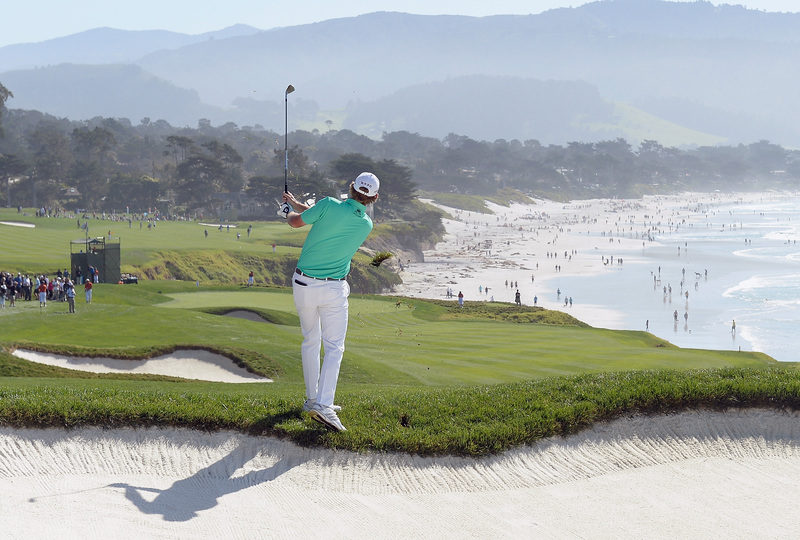 Pebble Beach is ranked America’s No. 1 public course by every major golf publication. The four most iconic holes are No. 7 (shortest in U.S. Open history), No. 8 (Nicklaus’ favorite par-4 in golf), No. 17 (site of two U.S. Open clinching shots: Nicklaus’ 1-iron in 1972 and Tom Watson’s chip-in in 1982) and No. 18 (one of the most famous finishing holes in golf). Tom Kite (1983) and David Duval (1997) own the tournament course record at 10-under 62, but both rounds came under lift, clean and place winter conditions. Love (2001), Billy Andrade (2005) and Mike Weir (2006) all shot 63s playing the ball down. The lowest round at a U.S. Open was a 7-under 65 by Tiger Woods in 2000. The overall course record is an 11-under 61, fired by Texas Tech Senior Hurly Long during the 2017 Carmel Cup. Spyglass Hill opened in 1966 and moved straight into the Crosby rotation a year later, replacing the Shore Course at MPCC. Spyglass Hill will co-host the U.S. Amateur for the second time in August. In 1999, no one in the 312-player field broke 70 during medal play, and the scoring average was nearly 80. The term “Tiger Tees” was first used to describe the back tees at Spyglass Hill in a 1967 AP article. The par-5s were also “murder” in that same story. The uphill, sidewinding course in damp marine air plays much longer than its yardage, but it measures as the fourth-shortest layout on the PGA TOUR. Golf Digest ranks Spyglass Hill the 11th-best public course in the country, and second-best in California (only behind Pebble Beach.) The editors of Golf named Nos. 1, 2 and 4 three of the top 500 holes in the world, while the Nos. 5 and 6 cap a demanding stretch of golf: No. 5 played as the fifth most difficult par-3 on the PGA TOUR last year, and No. 6 was one of the 10 toughest par-4s in 2014. The only private club currently in the rota has two courses, and both have been a part of the Bing Crosby Pro-Am. The Dunes Course hosted for 18 consecutive years beginning in 1947, and the Shore Course had spot-starts in 1965, 1966 and 1977. 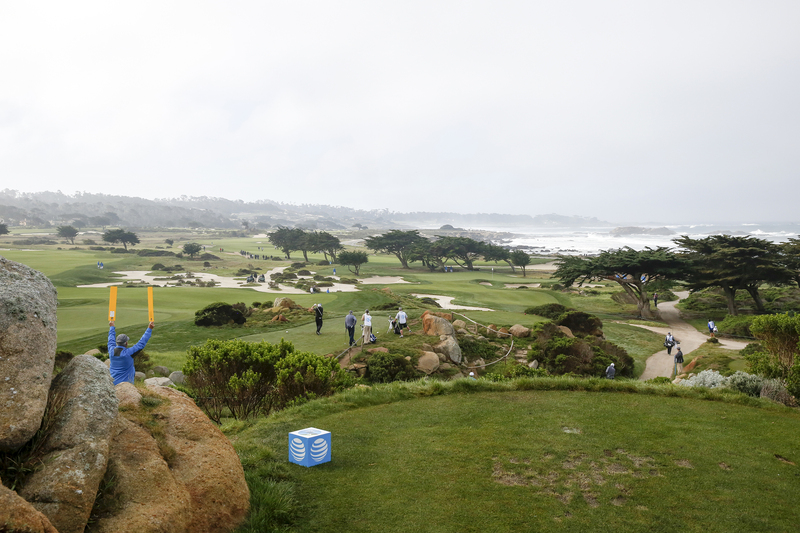 The Shore Course returned to the rotation in 2010, replacing Poppy Hills. MPCC provides the most opportunities to go low. A par-72 layout for members, the tournament setup is a par-71 with four par-5s (No. 1 is converted into a par-4). South Korean Sung Kang shot a course-record 11-under 60 in 2016 (he needed a birdie on the last hole to shoot 59). The Shore Course is the third shortest on the PGA TOUR, giving the AT&T three of the four shortest layouts the pros play all year. The Shore Course borders Spyglass Hill. From the sixth tee box at Spyglass Hill, you can see the 13th green on the Shore Course. 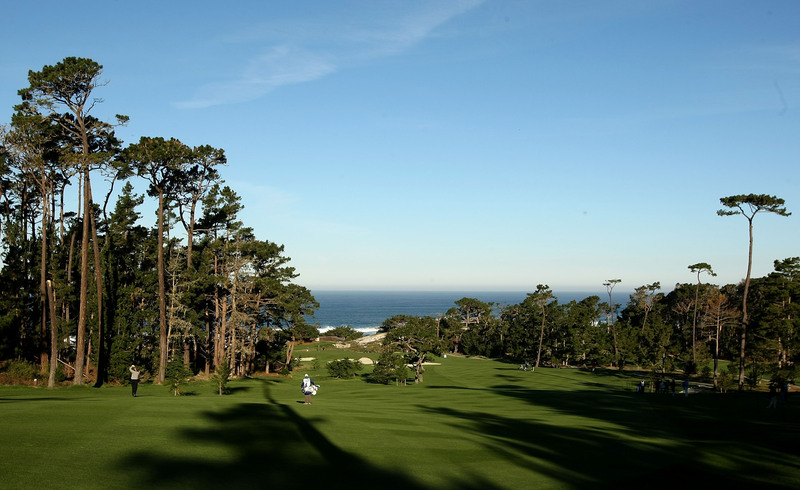 It’s just a short hike down 17-Mile Drive to watch play at both courses. The Dunes Course bumps up against both the Shore Course and Spanish Bay. The ninth holes at the Dunes Course and Spanish Bay are separated by a giant dune.